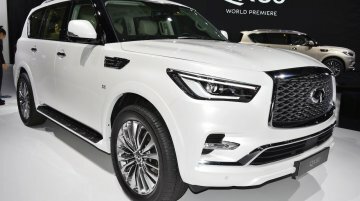 Making its debut at the 2017 Dubai International Motor Show is the 2018 Infiniti QX80. 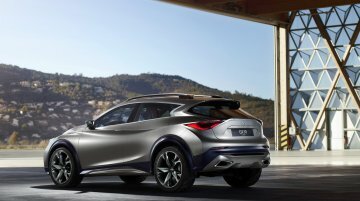 The full size SUV from Nissan's luxury arm gets an updated exterior along with tweaks to the list of features on..
Previews the second-gen Infiniti QX50. 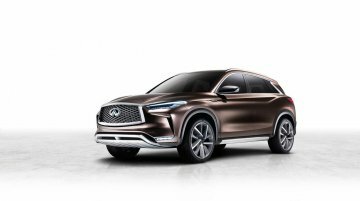 Infiniti has digitally revealed the new Infiniti QX50 Concept, ahead of its world premiere at the 2017 North American International Auto Show in Detroit this ..
Previews the next generation mid-size SUV. 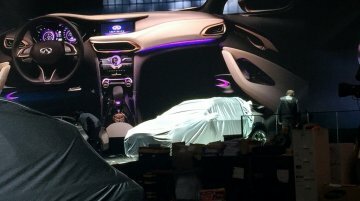 An Infiniti concept previewing a future model has made its world debut at the Auto China 2016 in Beijing. 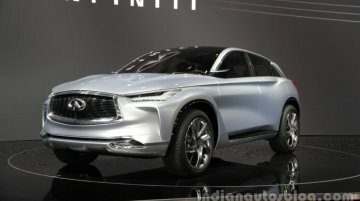 Called the Infiniti QX Sport Concept, it..
Has 5.9 inches more wheelbase than the standard model. 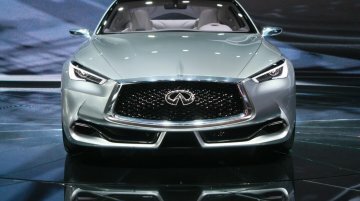 Infiniti had showcased the long wheelbase version of the Infiniti Q70, known as the Infiniti Q70L at the 2015 Shanghai Auto Show last..
To compete with the BMW 4 Series and the Audi A5. 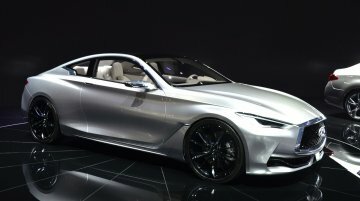 At the 2016 North American International Auto Show in Detroit next month, Infiniti will introduce the all-new 2017 Infiniti Q60 Coupe. Here are 5..
Is exclusively sold in the Chinese market. 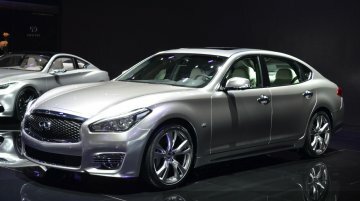 The Infiniti ESQ was showcased at the 2015 Shanghai Auto Show held in April. 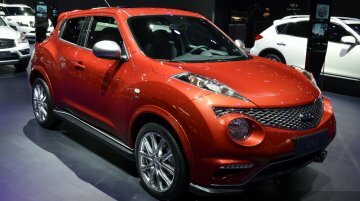 The crossover, which launched in September 2014, is basically a rebadged.. It is also the first Infiniti vehicle to be manufactured in Europe. 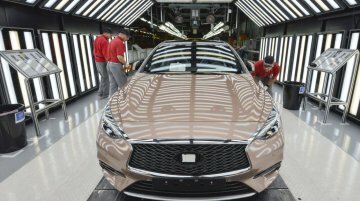 Production of the Infiniti Q30 has commenced at the automaker’s newly-built facilities in Sunderland, UK. 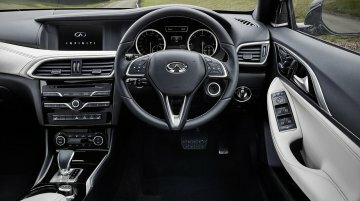 The Q30 is..
Update 2 - Pictures of the Infiniti Q30 City Black Edition have been updated in a new gallery. It adds dual tone 18-inch wheels, dark grey front grille, satin silver door mirrors, and black lacquer tr..
Infiniti has unveiled a limited edition QX70 Ultimate at the 2015 IAA in Frankfurt, which will arrive in showrooms across Russia and Western Europe later this year. In the UK, prices start..
Debuts on September 15. Infiniti will be debuting the Q30 compact car at the 2015 Frankfurt Motor Show which opens on September 15. 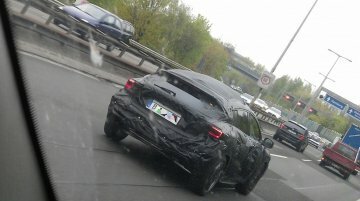 The cabin of the crossover has been revealed ahead of its..
Update - Auto.cz has posted a spyshot of the Infiniti Q30 from what appears to be a promotional shoot. The rear-end is familiar from the concept car with a C-Pillar that zigs forward. It features a du..
First product co-developed by Mercedes-Benz and Infiniti. 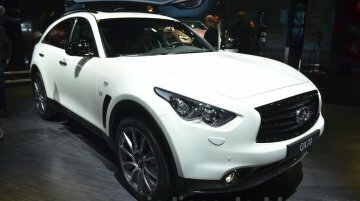 Infiniti is working on a compact premium hatchback that will rival the Mercedes A Class and BMW 1 Series. It was first previewed as the..
Update - New image gallery added from the Geneva show floor. Production confirmed for 2016. 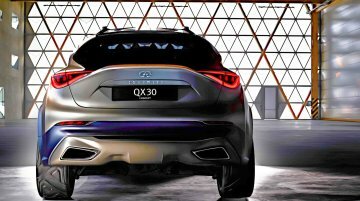 The Infiniti QX30 concept car has been revealed on the eve of its public premiere at the 2015 Geneva..
To be realised as a premium crossover. 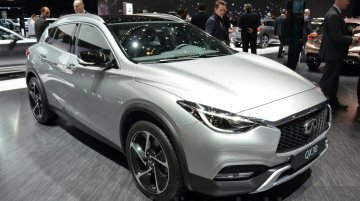 The Infiniti QX30 will be formally unveiled at the 2015 Geneva Motor Show on March 3, but the first image of car's interior has been published on Chinese.. 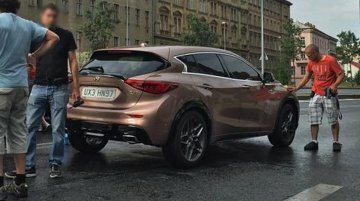 The crossover is 30 mm taller than the Q30 Concept hatchback. 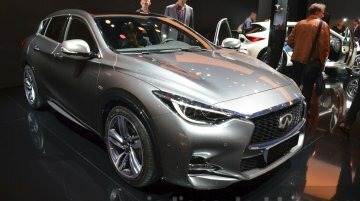 Infiniti has revealed the Infiniti QX30 Concept crossover, which will be showcased at the 2015 Geneva Motor Show starting on March 3,..
Could be based on the Mercedes MFA platform. 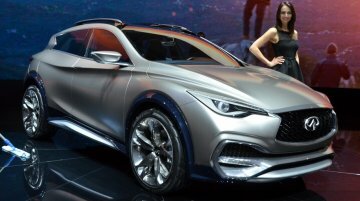 The Infiniti QX30 crossover concept is headed to the 2015 Geneva Motor Show, and the Japanese manufacturer has released a teaser image of the same, to..